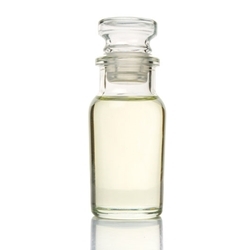 One of the few naturally-derived cosmetic fluids that are miscible with water, alcohols, organic esters, and oils. In any product, it delivers humectancy with a lubricious, emollient feel. In alcohol-based systems Glucam P-20 humectant reduces the stinging effect alcohol has on skin. Equally important in fragrance containing formulations, it acts as a fixative by subduing volatilization of the "high notes". The light color and low odor of Glucam P-20 humectant will not interfere with the mood the fragrance is trying to communicate. Typical Properties: Physical properties are listed below and indicate typical values and properties; they are not intended to be used as product specifications. This is a material used for the fixing of top and some middle notes. For example, experiments performed in house show that Sweet Orange essential oil (one of the most fleeting of scents- usually lasting only two minutes on the skin) was increased to last half an hour or more on the skin. Use up to 5% of your fragrance formula concentrate, but experiment! Using too much will "flatten" a fragrance.